You can do more than drink at The Empty Bottle on Saturday. Well, what you lack in artistic flair you make up for in shopping prowess. 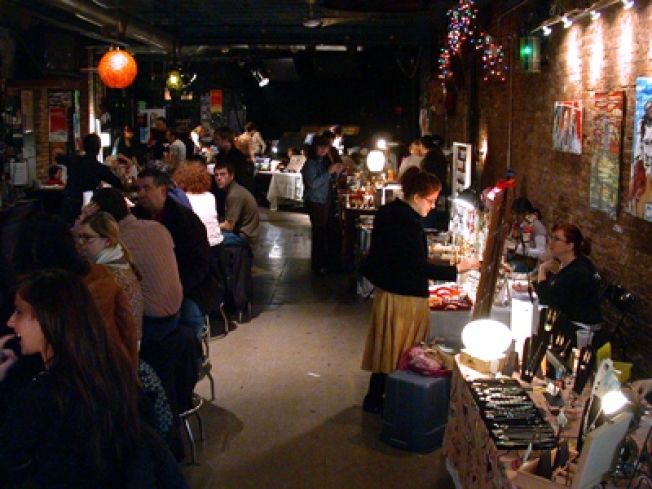 The second Saturday of every month, The Empty Bottle hosts local crafters from around the city selling goods that they spent hours making. Choose from jewelry, clothing, stationary - you name it, someone sells it. Find one-of-a-kind gifts for you and yours. And hey, you could even fudge the truth and say you made them. Who are we kidding? No one would believe you anyway.